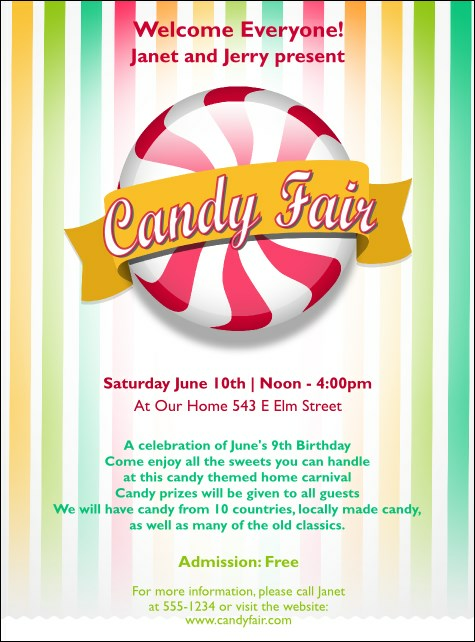 Entice the masses when you distribute the Candy Flyer before your fair, party or carnival. Blue, green and yellow stripes form a background for all your brightly-colored event details, with a big peppermint candy in the middle. Find coordinating tickets, fliers and invitations in a Matching Event Kit.